The Vermont Bureau of Investigation (VBI) has been pulled onto three cases at the same time; meanwhile, VBI head Joe Gunther has to take time off to care for his ailing mother. Lester Spinney takes over a famous cold case, a double murder where a state trooper and a motorist were killed in an exchange of gunfire. Or so it has seemed for years. When Lester is told that the motorist’s fingerprints were planted on the gun he’s supposed to have fired, it opens the question—who really killed the state trooper? Willy Kunkle’s case starts with a child's discovery of three teeth on a railroad track, leading eventually to a case of possible sabotage against critical military equipment. In cases that lead the team all over Vermont and nearby, Archer Mayor once again shows why his novels featuring Joe Gunther and the VBI team are among the finest crime fiction today. 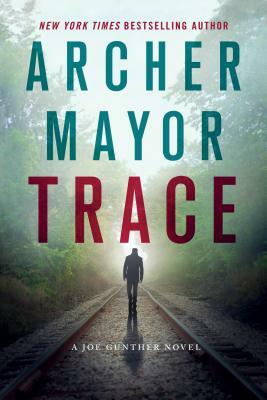 ARCHER MAYOR, in addition to writing the New York Times bestselling Joe Gunther series, is an investigator for the sheriff's department, the state medical examiner, and has twenty-five years of experience as a firefighter/EMT. He lives near Brattleboro, Vermont.